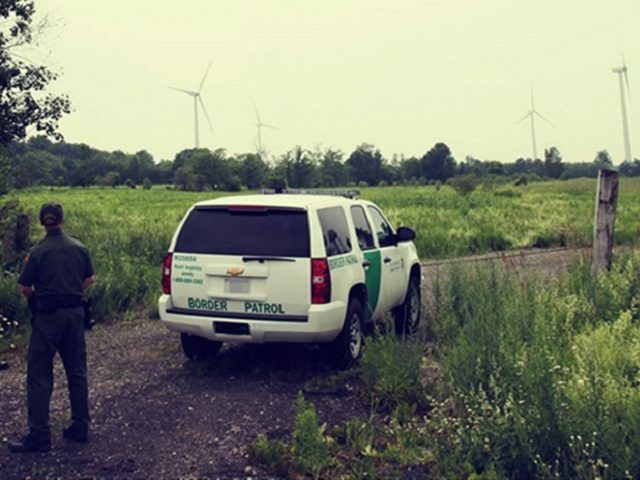 Agents patrolling in Derby Line, Vermont, Saturday, received notification regarding two vehicles that crossed the border illegally by driving on a sidewalk that runs along the Haskell Free Library, according to information obtained by Breitbart Texas from U.S. Customs and Border Protection officials. Officials said the library was intentionally built on the Canadian-U.S. International Boundary in 1904. The notification of the illegal border crossing came from the Swanton Sector’s Tactical Communications Center. Using the information provided by the LECA workers, agents quickly spotted the two vehicles as they entered the on-ramp to Interstate 91 South. The agents stopped the vehicles to conduct an immigration inspection and found six adults and five children. Further investigation revealed that four of the occupants were French citizens (2 adults, 2 children) and Romanian citizens (4 adults and 3 children). The adults admitted they entered the U.S. without documentation allowing them to be present in this country. The agents took all of the illegal immigrants into custody and turned them over to ICE Enforcement and Removal Operations officers for deportation proceedings. Breitbart Texas reached out to CBP officials regarding what appears to be a growing trend of reports of illegal border crossings along the Canadian-U.S. border. Officials have not yet responded to requests for data. The Swanton Sector has released multiple reports in recent months.